Chicama is located in Puerto Malabrigo in the central north coast of Peru. It is considered the longest wave in the world, breaking along a spectacular beach all the way to an old pier at the end. On a good day, you can have a ride that is almost 3 km long. The wave of Chicama was discovered in 1965 by Hawaiian surfer Chuck Shipman. He was on his way back from the World Surfing championship in Lima and he spotted the wave from the plane window. After the first sighting it took 2 years to Peruvian surfers to find the exact location of the wave and since then Chicama has wondered the world with its long and perfect walls. Today, Chicama is a world renowned wave and its legend reaches all four corners of the planet. People from all over travel to Peru to have a taste of the longest wave of the world. Chicama breaks all year round, but it performs best with big south west swells during the southern hemisphere winter season (April to October). Chicama is so long that it is usually broken into 6 different sections: El Cape (The Cape), El Point (The Point), Las Dos Tetas (The two breasts), El Hotel (The Hotel – section right in front of Chicama Boutique Hotel & Spa), El Hombre (The Man) and El Malecon (The Promenade). El Hombre is the fastest section and it offers the best barrels and Las Dos Tetas offers very long rippable walls which look like they will close out but they never actually do. 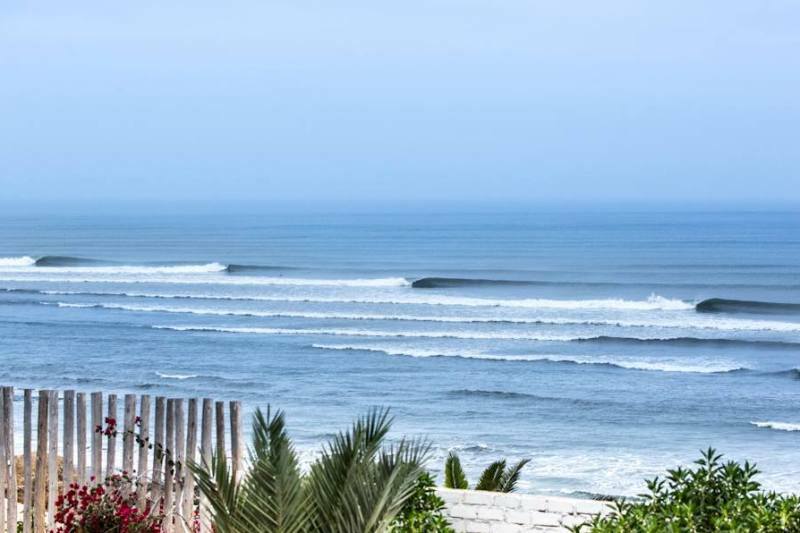 If you want to have a once in a life time experience and be able to surf a legendary wave, don’t think it twice and book your stay at Chicama Boutique Hotel & Spa.